Paget's disease is an old disease historically, but a new disease therapeutic- ally. Human remains unearthed in Lancashire, England, dating from ap- proximately 900 AD, show clear evidence of the aftliction. However, it was not until the 1800s that physicians rediscovered the condition, and a little more than 100 years ago that Sir James Paget published a perceptive and accurate description of the disease from the clinical and pathologic points of view. He felt the disease represented an inflammatory condition of the skeleton and hence named it osteitis deformans. The condition again lapsed into anonymity for several decades afterwards, and therapeutic approaches did not evolve until after World War II when several groups, located mainly in the Boston area, began using a variety of agents, includ- ing corticosteroids for treatment of this condition. These early attempts at therapy were unsuccessful and the condition remained essentially untreat- able until the development of the calcitonins and the bisphosphonates in the 1970s. 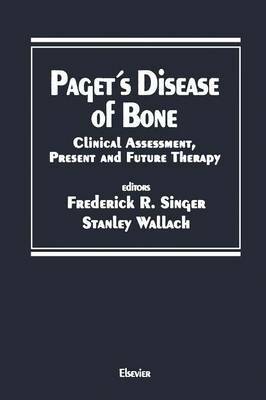 In 1978, the Paget's Disease Foundation, a private nonprofit volun- tary health agency, was founded to assist individuals aftlicted by Paget's disease of bone, to provide education regarding this condition to the medical community, and to encourage research efforts to better under- stand and treat the condition. An international conference was organized under the aegis of the Paget's Disease Foundation and was held in New York City in October, 1989, ten years after the founding of the Paget's Disease Foundation.